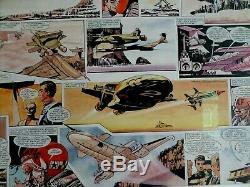 TV Century 21 Issue 72 June 1966 Thunderbirds. Very sad to let this one go. 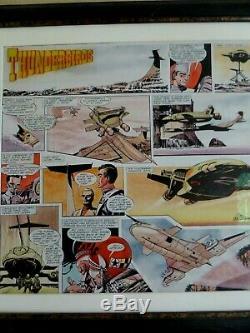 Includes great images or Thunderbirds 1 2 and 4. Colours still good and has all the original writing. Please note the Thunderbirds title is a copy. Available with conservation framing inc. 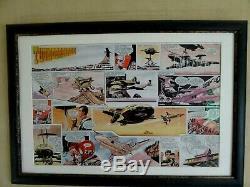 The item "Frank Bellamy TV Century 21 1966 Thunderbirds Double page original Art" is in sale since Sunday, February 24, 2019. 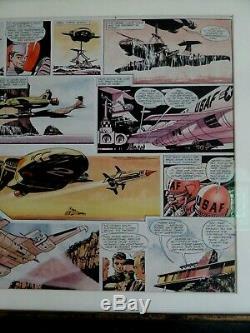 This item is in the category "Books, Comics & Magazines\Comics\Original Comic Art".g100" and is located in Loughborough. This item can be shipped worldwide.